After that, you have to enable “Forwards calls to: Google Chat” option. 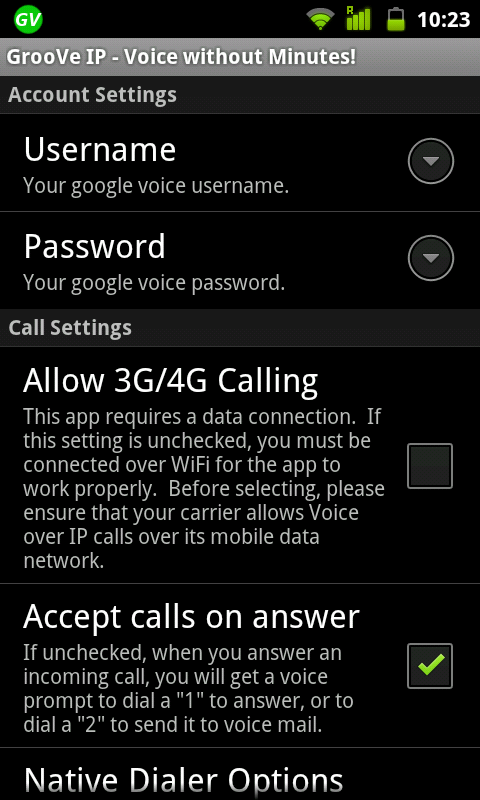 You can find it under Voice Settings in your Google Voice account. That’s all for preparation. Then, go to Android Market and download GrooVe IP application to your phone. You just need to enter your Google Voice username and password to app. That’s it. Now, whenever you have data connection on your phone, you can call local phone numbers for free from your Android phone by using GrooVe IP app. 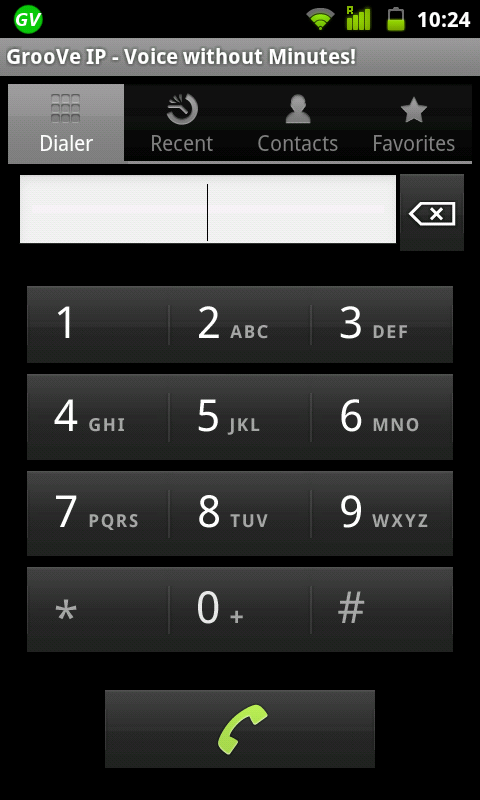 Whenever you make a call, you must use GrooVe IP’s own dialer, not the default dialer. Also, others can call you by dialing your Google Voice phone number. Your Android phone will receive the calls automatically. When you are not available, others can leave you a voice message. Then, Google Voice informs you immediately by sending an e-mail about it. Hi, Emin! I got friends with Ozlem in facebook and as I was looking at the fabulous pictures of your trip, I got into your web page and finally to Googlevoice! That's sounds great! However, I didn't understand if I should use my USA mobile number and then if I should change my carrier or not. If you drop by the office, I would need some help! Thanks in advance, Eleni Vaiopoulou. Hi, Eleni. Thank you for your kind words about our trip. I assume that you have an Andorid phone. Also, you already have Google Voice account. In other words, you choose your local phone number provided by Google for free. As for Groove IP, It is a kind of tool that uses Google Voice resources. Because Google doesn't have its own Android app which is produced for this purposes. Infact, you don't need to have/change USA mobile phone number/your current Carrier. it doesn't matter. But you need internet connection one way or another. You have to reach internet from your phone either "Wifi" or "data connection" which is provided by your phone number's Carrier. I'm using Wifi (it's in everywhere for free) to connect to Internet because I dont want to pay to any Mobile Carrier. I set this system up. Now, I dont have a phone number from any USA Mobile Carrier. But, I have a local phone number which is provided by Google. I can call any USA phone number from my phone for free. Also, Others can call me from my phone number which is provided by Google. I can stop by the office probably tomorrow to help you. See you. I have iphone 3g, but I do sth wrong with my google account! If you could come and help me, it would be ideal! However, I have classes tomorrow morning and I'll be in the office after 2.30. You are so nice! And the photos were superb! I am happy for you both that you had the chance to do such a wonderful trip! All right. I will be there after 2.30. But I am not sure if there is any app for Iphone to use this system.